Looking for a car, a new phone, an excellent TV, a good school system for your children or a new puppy? What do you do first? Research! Ask questions! Visit! Why should it be any different when you plan to purchase a dog? The need for a puppy instantly, should be abandoned in favor of the right dog from a responsible breeder. The process may take you a little more time, but this dog will be a new member of your family and with you for many, many years. Take the time to research the breed and the breeder BEFORE you buy the dog, and you will, more likely, make the right decision. Don’t expect to get a puppy around the holidays. A responsible breeder would not place a dog during a busy holiday season. Contact the national breed club for the breed. United States Kerry Blue Terrier Club is the national breed club and their website is www.uskbtc.com. Visit the American Kennel Club website at www.akc.org. Ask a great deal of questions. Consider an older dog or a rescue dog, if available. Visit the breeder and inspect the puppies, the other dogs, and their living environment. Be cautious of any breeder who has many different breeds. Usually responsible breeders only focus on one or two breeds. Check the health records and the temperament of the sire and dam. Expect the breeder to ask you a great many questions. Check that the puppies have been registered with the American Kennel Club. Expect to wait for a puppy. Be prepared for the breeder to visit your home. Expect to register the puppy with the AKC. Make sure you get a health record with the dog. Plan on keeping in contact with the breeder for ear sets, grooming, and mentoring. You should research everything you can about any expensive item before you purchase it. The same rule should be followed before you buy a puppy. But, how do you do that when you are trying to purchase a dog? The Internet is always a good place to start. The American Kennel Club has a great deal of information on dogs and makes many suggestions for the potential new dog owner. 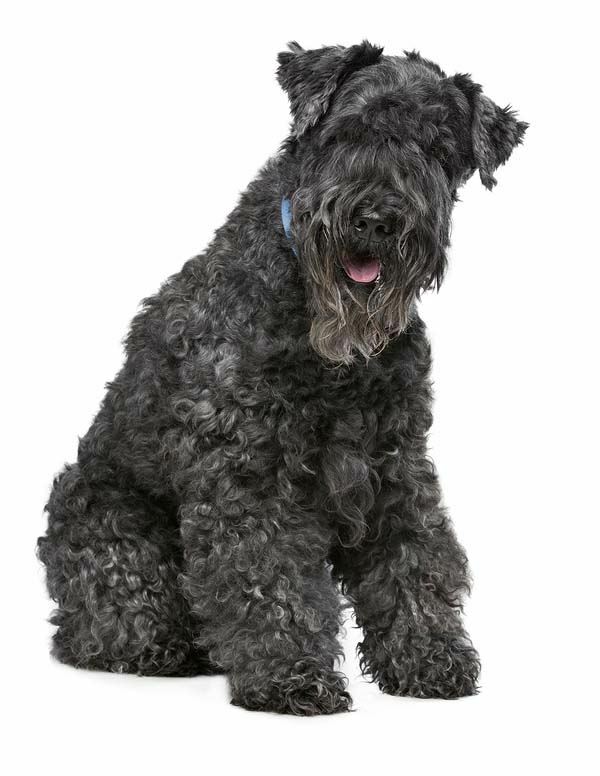 The AKC website lists the national breed club for each breed and for Kerries, it is The United States Kerry Blue Terrier Club. If you visit the club’s website you will find a great deal of information on the breed. There is information about the club, health and genetics of the breed, the breed standard, as well a “search” function that allows you to access the list of Kerry owners in the USKBTC. You can also find the local Kerry clubs in your area. Once you have completed your research and you are sure you want a Kerry, how do you know you have found a responsible breeder? Talking on the phone to people is fine, initially, but I strongly suggest that you visit the breeder’s home. Look at the home, the kennel, and all the other dogs. Is it clean and do the dogs look well cared for? What is the disposition of all the dogs? Puppies are ALL cute, but you want to check the other dogs in the home or kennel. Are they friendly? After the first 10 to 15 minutes, do they all calm down and relax while you are talking to the breeder? Who was the sire and dam? Are they registered with the American Kennel Club? Do they have a clean bill of health, hips and blood work-up, just to name a few? Who will set the puppy’s ears? Will they do the grooming or will they teach you how to groom? Will the breeders mentor you, whether you plan on showing the dog or not? Will the breeder take back the puppy for a refund within a set period of time? How have the puppies been socialized? If years and years from the purchase date you are forced to give up your dog, will the breeder take responsibility for re-homing the dog? Is the breeder easy to contact by phone, should you need to ask questions or just want to share the puppy’s latest achievement? Does the breeder ask YOU more questions than you are ask them? Is there a contract that spells everything out for you and the breeder? I personally always visit the potential new home for the puppy and if that is impossible, I ask another Kerry breeder/owner to “check out” the home. Just the way the new owner should ask questions and inspect the home or kennel environment, so too, should the breeder. There is very little chance of getting this kind of support and involvement with a puppy that is purchased from a pet store. In my opinion, no responsible breeder would EVER sell his dogs to a pet store, no matter what the pet store owner tells you. The good “pet stores” I know about do not sell dogs. The good breeders that I know do NOT consider their dogs or puppies “products.” Good breeders are in contact with the new owners and they care, not only about this particular puppy, but also, for the breed in general. You will never get this kind of long-term support unless you purchase your dog from a responsible breeder. Kerries are truly wonderful, intelligent, loving dogs and well worth the research and the wait. So be patient and research the breed and the breeder. Get the right dog from a responsible breeder, for your new Kerry will be part of your life and a member of your family for many years.